I've started reading through Is Goodness without God Good Enough? 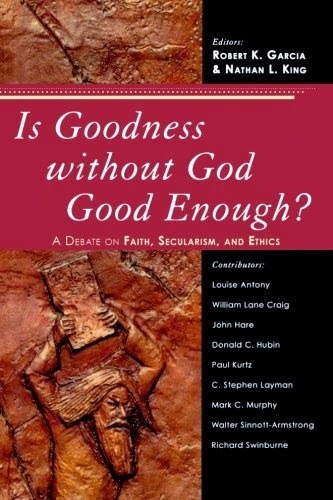 A Debate on Faith, Secularism, and Ethics. 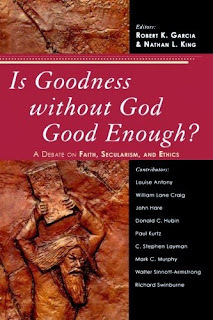 The first part of the book is the contents of a debate between Christian philosopher William Lane Craig and Paul Kurtz who is a proponent of "secular humanism." This is followed by respondents to the debate from various backgrounds. Chapter two is by C. Stephen Layman and is entitled "A Moral Argument for the Existence of God." I will not summarize Layman's argument here. Rather, I wanted to quote an interesting section regarding reincarnation. Some people may wish to deny the existence of God and yet hold to some sort of objective moral ethic. One way of doing this is to affirm a moral universe governed by karma. Sometimes this is held in a sort of "street-level," non-sophisticated manner--"I don't believe in God; I believe in karma." Layman's comments should cause pause to any who wish to ground their ethic in karma while simultaneously denying the existence of a personal God. See the related post: Reincarnation: Letter to a Co-worker.